The Football Business, Club Ownership and the Measurements of Success? The academic publishing industry was not exactly a place I expected to find much in the way of football writing or sport in general to be perfectly honest. But to my surprise, I recently found that Emerald do publish some sport related content. Sport, Business and Management (SBM) is one of the more interesting journal titles we publish and is particularly interesting for me as football is a regular feature. One article in particular caught my attention. Published in SBM this year; The relationship between ownership structure and club performance in the English Premier League (subscription required) was written by Robert Wilson, Daniel Plumley and Girish Ramchandani and the title alone stirred up a feeling of curiosity. The authors conducted empirical research to explore the relationship between the financial and sporting performance of Premier League football clubs. I thought this was quite a pertinent issue as the ‘business’ of football continues to grow and so I have tried to distill the authors findings within this article and offer my opinions. The whole article was a rather interesting read which highlighted several important points for debate. What is the most important measurement of success? Does foreign investment help clubs become financially stable? I think it is important to stress that football started as a game which slowly become associated with business. We then arrive at the present day, the commercialization of football and the formation of the Premier League in 1992 has accelerated the move towards a lucrative business. In conventional business, the only motivation is to make a profit; however, this has not been the case in top flight football until more recently. Therefore, the important factor for Premier League football clubs is not necessarily the profit margin, but rather victories on the pitch and trophies in the cabinet. This is what sets football (and most elite sports) apart from conventional business. The article identifies four main models of ownership, the stock market model, supporter trust model, domestic ownership model and foreign ownership model. All of which measure success slightly differently. As the research was based purely on the English Premier League, the authors discounted the supporter trust model of ownership due to the size of the companies involved at that level (an exception being Swansea City who are 20% owned by Swansea City Supporter Society Ltd). The main three ownership models I have focused on are briefly explained below. The stock market ownership model: The stock market ownership model see’s a club traded publicly on the stock market. The whole principle behind the stock market model would allow a football club to raise capital for things like stadium redevelopment. From a purely business perspective, the stock market model must provide a return on investment for the stakeholders of the club or it would not be considered a sound business investment. Therefore, the measurement of success would be return on investment rather than ‘on the pitch’ success. The foreign ownership model: The foreign ownership model is one that we are all familiar with. A very wealthy individual outside of England will buy a top flight English football team and then pump many millions into the club, the majority of which we see spent on inflated transfer fee’s and astronomical wage budgets. So, the main measure for success with this sort of ownership structure is winning ‘on the pitch’ rather than positive financial performance. Any return on investment would purely be in trophies as there is only one owner who does not need to make any money from his/her venture. The domestic ownership model: This is very similar to the foreign ownership model; as one individual owns the club but in general is not able to bank roll a team as with more prominent foreign ownership. Bill Kenwright and Everton would be a good example of this. The difference in structure between model 1 and models 2 and 3 is obvious to most people and you don’t have to be particularly business minded to understand them. However, to analyse the differences in the measurement of success between the three is a different matter. Those with a business mind will tell you that a sustainable, self supporting business is the key to long term success and the research proves this to be a better option. 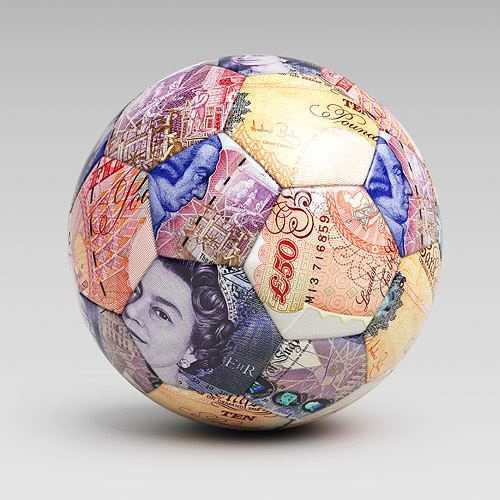 The increased commercialization of the Premier League since its formation has lead to more and more clubs moving under the foreign ownership model, as wealthy individuals seek instant success on the pitch, relying on their own funds to do so. There are two prime examples in the Premier League, Roman Abramovich endeared himself to Chelsea fans as his investment brought the club success on the pitch and Sheikh Mansour’s investment saw Manchester City win the title last season. Chelsea have remained successful for the past ten years under Abramovich but have relied on the Russian to fund the club rather than run on their own devices. So the data the article puts forward remains solid, despite success on the pitch both City and Chelsea are not self sufficient and rely heavily on the wealth of one individual. On the opposite end of the scale there is Portsmouth; who under the foreign ownership model almost fell into liquidation recently due to their poor financial state. Portsmouth spent many millions on players during their time in the Premier League and managed to win the FA Cup in 2008 but sustained success was never achieved. Excessive spending caught up with the club and the foreign ownership model failed to provide the financial support. Portsmouth subsequently dropped down the leagues and will find themselves playing their football in League Two next season. The club were saved by their own fans in the end and are now owned by the Pompey Supporters Trust, thus moving to the supporter trust model. Leeds United would be another good example as they almost came to a similar sticky end in 2004, but this time under the domestic ownership. You then have anomalies such as the Glazer takeover at Manchester United which was met by a strong response from the United fan base. The opposition to the Glazer takeover was in-fact so strong that FC United of Manchester were born in 2005 on the back of fans disillusionment, as the ownership of Manchester United moved from the stock market model to the foreign ownership model. The Glazer takeover was strongly opposed as it relied heavily on securing loans against the clubs assets, incurring huge amounts of debt. However, Manchester United have gone from strength to strength financially and maintained success on the field. The Red Devils have an established history, a strong brand across the globe and a continuous stream of trophies, ensuring continued success in all areas. It is a similar story at Liverpool, whose ownership has twice changed hands in the past few years. The most recent being John Henry of Fenway Sports Group. Liverpool, like United have a long established history and a strong global brand and even without success on the pitch to match United or Chelsea they have retained a strong business position based on the clubs history and brand. Throughout the article, the authors show that the data collected during their research proves that despite the move towards domestic and foreign ownership models, the stock market ownership model is the most successful. In business terms, it would be the best for a top flight football club to employ if they wish to become viable businesses, operating within their means whilst making a profit. If you look at the Premier League as a whole, there are only two clubs floating on the stock market, Tottenham and Arsenal. Both are successful ‘on the pitch’ (Arsenal fans will beg to differ due to the lack of trophies) and they are also in a better positions financially, which is becoming increasingly important in light of the Premier League and UEFA’s Financial Fair Play regulations respectively. Only a few clubs remain domestically owned and success ‘on the pitch’ is valued above all else by most foreign owners. Below is a table taken from the article which illustrates the ownership model of 16 Premier League teams from 2008 to 2010 and their profit/loss over that three year period. Source: Wilson et al, © Emerald Group Publishing. Reprinted with their kind permission. To come back to my original questions, the most important measurement of success first and foremost will be victories ‘on the pitch’ over business performance, especially with the prominence of the foreign ownership model. This indeed makes football more competitive and private investors are the cornerstone in the rise of clubs like Manchester City. Foreign ownership has provided the most ‘on the pitch’ success which is exactly what football fans want to see. The increased commercialization of the Premier League has only managed to exacerbate the need for that entertainment factor. You only have to look at Arsenal, who despite being very well managed as a business and turning over a healthy amount of money on a yearly basis, are still berated by some fans who rampantly demand success on the field. No one seems to care much for the sustainable business model until they realise their club is in trouble. Foreign investment does not automatically equal financial stability as clubs begin to rely on the financial support of one wealthy individual. The injections of cash effectively stimulates the growth of a football club but this growth is not organic. In most cases the revenue generated by the football club does not cover the sustained expenditure on player wages etc (Leeds United would be a good example) and for a team to be a truly self-sufficient business, organic growth is required. However, whilst there is not exactly a legacy of club mismanagement within professional football, where teams have fallen into insolvency there has often been the hallmarks of poor management by owners in both the domestic and foreign ownership models. Then again businesses around the world collapse on a regular basis as a result of similar issues proving that these are not inherently footballs problems. In the end, money talks, and footballs business model demographic has changed dramatically since the start of the Premier League era. The increased commercialization has attracted a number of wealthy investors both domestically and from abroad to the lucrative ‘business’ of football. Premier League clubs now find themselves caught within a financial paradigm, where significant investment is required to challenge the power of the top six teams. However, from a business perspective, this is not sustainable. If a football club is to be a complete success then all the elements in the equation need to work in tandem. For me, Swansea City have everything right at the minute, they promote an attractive brand of football, have achieved success in the form of their first major trophy this season and 20% of the club is owned by the Swansea City Supporter Trust. Wilson et al, The relationship between ownership structure and club performance in the English Premier League, Sport, Business and Management: An International Journal, Vol. 3 No. 1, 2013, pp. 19-36. DOI: 10.1108/20426781311316889.